Leading up to one of the biggest television events of the year, the royal wedding of Prince Harry and Meghan Markle, CNN will air a one-hour special report A Royal Match: Meghan and Harry, which will look at the remarkable lives of the young couple. Both faced unique challenges on their way to this historic match, Prince Harry, devastated by the death of his mother and then shaped by his commitment to the military and Meghan Markle, an American woman who will now become a part of the British monarchy. The report will air on Saturday, May 12th at 8pm ET. The special, reported by Alisyn Camerota, speaks with those who know the couple best including General Lord Richard Dannatt, the former chief of the British Army and a mentor to Harry. It was General Dannatt who decided to have the Prince serve in Afghanistan. Harry’s commander in Afghanistan Brigadier Neil Sexton talks about his service flying Apache helicopters in Afghanistan. She also speaks with Meghan’s mentors and those who helped shape her life, including Christine Knudsen, Meghan’s high school teacher, Harvey Young, her college professor and Lara Dewar, who traveled with Meghan to India in her role as World Vision’s ambassador. Former palace employees Paul Burrell, Patrick Jephson and Dickie Arbiter also share stories from Harry’s childhood and memories of his mother Princess Diana. 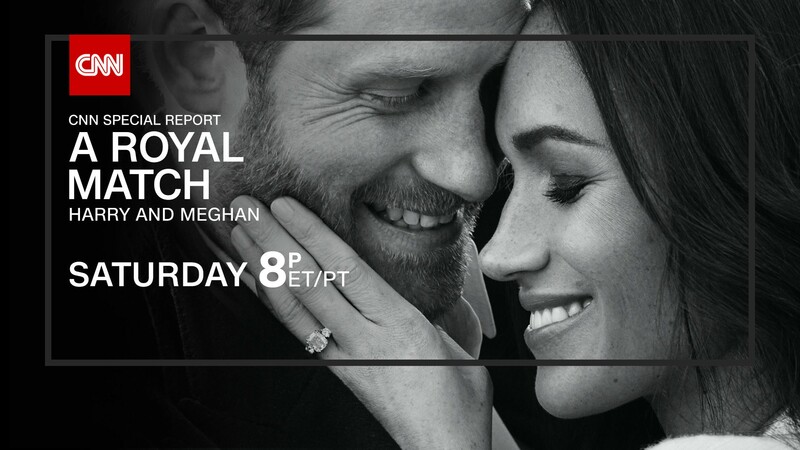 A Royal Match: Meghan & Harry will also stream live for subscribers on Saturday, May 12th via CNNgo (at CNN.com/go and via CNNgo apps for Apple TV, Roku, Amazon Fire, Samsung Smart TV and Android TV) and on the CNN mobile apps for iOS and Android. The documentary will also be available the day after the broadcast premiere on demand via cable/satellite systems, CNNgo platforms and CNN mobile apps. About CNN Special Reports CNN Special Reports is the award-winning, in-house documentary unit focusing on in-depth and investigative reporting of major issues and events and the powerful human-interest stories that reflect our times.